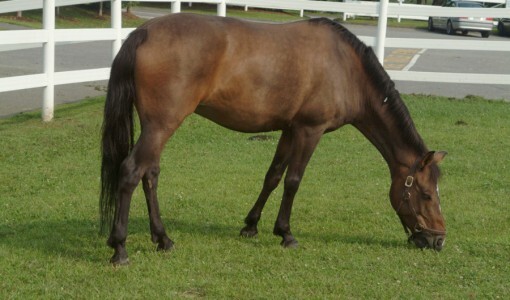 A 13-year-old Warmblood gelding, used for three day eventing, was presented to Hospital for Large Animals at Cummings Veterinary Medical Center for evaluation of poor performance. Upon physical examination no abnormalities of heart rate, respiratory rate or body temperature were found. Palpation of his limbs was within normal limits, but palpation of his back showed sensitivity to palpation of his dorsal spinous processes and epaxial muscles in the caudal thoracic and lumbar region. Visual examination showed mild to moderate atrophy of his epaxial muscles in the sensitive region. 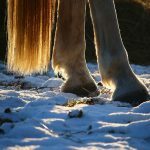 Lameness evaluation did not show any obvious limb lameness, but the horse showed reduced back motion on the lunge line and when trotting in hand. What will be the next step in your examination? 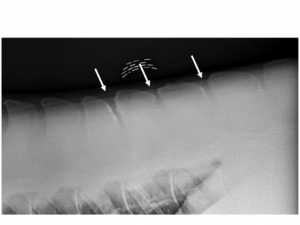 Radiographic examination of the dorsal spinous processes and facet joints of the thoracic spine, radiographic examination of the dorsal spinous processes of the lumbar spine. Ultrasound of the facet joints of the thoraco-lumbar spine, ultrasound of the supraspinous +/- the dorsal sacroiliac ligament. Nuclear scintigraphy of thoraco-lumbar region. Diagnostic Analgesia of affected areas identified on ultrasound and radiographs. Impingement of the dorsal spinous processes, osteoarthritis of the facet joints of the thoracic and /or lumbar spine, desmitis of the supraspinous and/or dorsal sacroiliac ligament, soreness from unfitted saddle, myositis of epaxial muscles. Radiographs of the thoraco-lumbar region were performed and showed impingement of the dorsal spinous processes of TH 17 to L1 . Nuclear scintigraphy showed increased radio-isotope uptake consistent with bony inflammation from TH17 to L1. 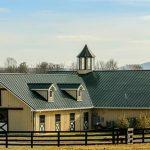 In recent years primary back pain has been more recognized as a source of poor performance in horses. At the same time back pain can result from hind end lameness, misfit of a saddle or poor riding skills. It is therefore important to thoroughly examine each patient to get at the root of the problem. applying manual pressure just caudal to the xyphoid process (belly lift) will help with differentiation between back pain and hypersensitivity to palpation. Further evaluation of the back can be done by testing the ability of lateral bending and flexion of the neck and back to the right and the left. During exercise reduced dorsoventral movement of the back can be found. Diagnostic imaging in form of radiographs and ultrasound can give information of bony (impingement of the dorsal spinous processes or osteoarthritis of the thoracolumbar facet joints) and/or soft tissue injury (supraspinous or dorsal sacroiliac ligament). The identified region can be infiltrated with local anesthetic to further evaluate its contribution to the presented complaints. In addition, nuclear scintigraphy can be helpful to evaluate the region for active bony inflammation and can confirm that impinging dorsal spinous processes or bony remodeling of thoracic or lumbar facet joints found on ultrasound are actively inflamed. Partial ostectomy of the DSPs has been successfully used in Great Britain and 72% of treated horses returned to their intended use. Disadvantages of this type of surgery is the relatively long recovery period and the invasiveness of the procedure. If an infection of the surgery site occurs, establishing ventral drainage can be fairly difficult due to the dorsal location of the surgery site. In addition, there will be visible unevenness of the topline in the affected area (Figures 1 and 2). 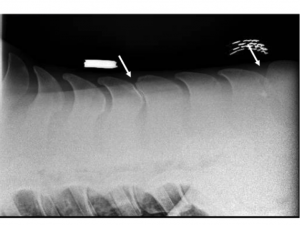 Figure 2: Post-operative image of the top line after partial ostectomy of every other dorsal spinous process in the caudal thoracic region. 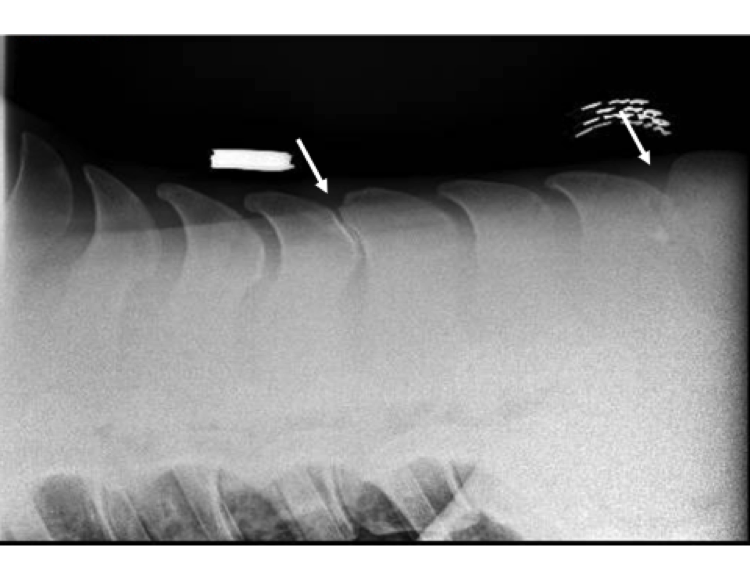 Figure 1: Post-operative radiographs of the caudal thoracic region after partial ostectomy of the every other dorsal spinous process. In recent years other methods have been developed with the goal of reduction in recovery time, possibility of standing surgery and reduction of risk of infection of the surgery site. Transection of the interspinous ligament (Figures 3 and 4) is based on elimination the painful sensation when the inflamed insertion of the ligament is brought under tension during movement. By interrupting this pain cycle, spasms in the epaxial muscles can be released. In a study by Coomer et al. 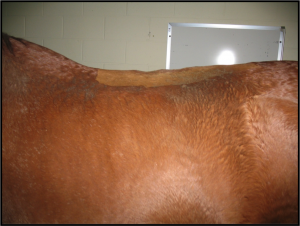 (2012), in 95% of surgically treated horses back pain resolved, versus 89% of medically treated horses. 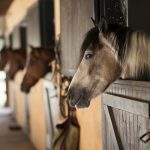 In the long term 56% of the medically improved horses required repeated treatment. 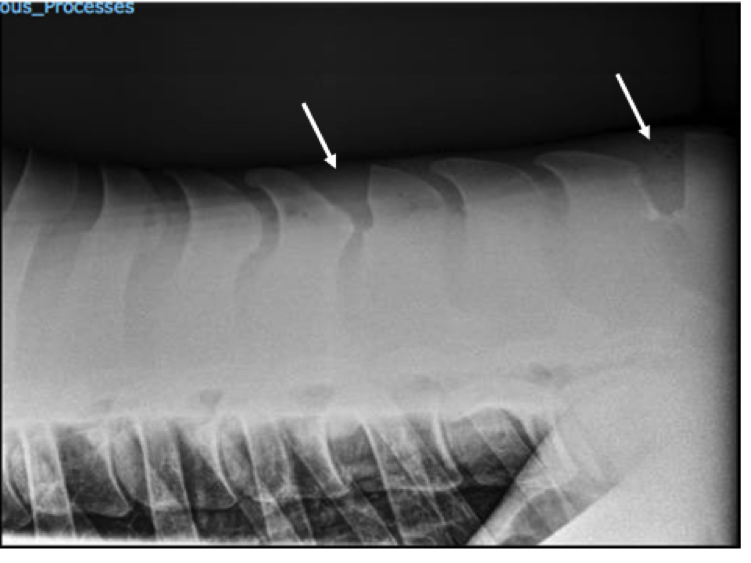 Figure 4: Dorsal spinous processes of caudal thoracic region at 8 weeks post interspinous ligament desmotomy. Notice the increased spacing. In cases of overriding DSPs, wedge ostectomy of the affected DSPs (Figures 5 and 6) can be performed as a standing surgery. 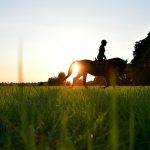 Recovery time after these less invasive surgical procedure consist of 3 to 4 weeks of hand walking exercise, followed by lunging exercise for an additional 4 weeks using a Pessoa system before starting ridden exercise. Horses with back issues also benefit from mobilization exercises, aka carrot stretches, performed about three times per week as well as integrating ground poles and cavaletti work into their daily exercise routine to encourage back movement and back muscle build up. Figure 5: In this patient overriding of two DSPs was found. 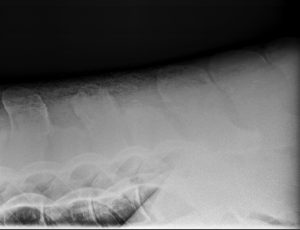 Radiograph of thoracic DSPs pre-surgery. 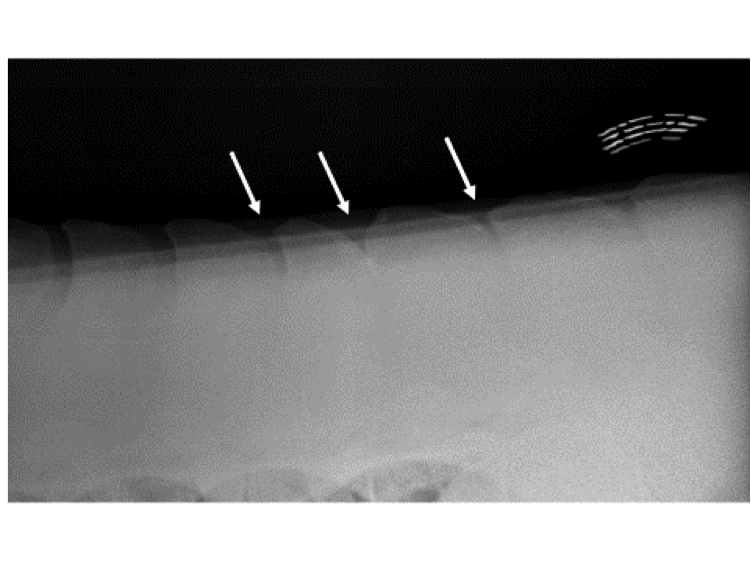 Figure 6: Radiographic of thoracic DSP post-surgery. A combination of wedge ostectomy of two DSPs and interspinous ligament desmotomy has been performed. Walmsley JP, Pettersson H, Winberg F and McEvoy F. Impingement of the dorsal spinous processes in two hundred and fifteen horses: case selection, surgical technique and results. Equine Vet J (2002) 34 (1) 23-28. Jacklin BD, Minshall GJ and Wright IM. A new technique for subtotal (cranial wedge) ostectomy in the treatment of impinging/overriding spinous processes: Description of technique and outcome of 25 cases. Equine Vet J 46 (2014) 339–344. Coomer RPC, McKane SA, Smith N, and Vandeweerd JME. Controlled Study Evaluating a Novel Surgical Treatment for Kissing Spines in Standing Sedated Horses. Vet Surgery 41 (2012) 890–897. Stubbs NC, Kaiser LJ, Hauptman J and Clayton HM. Dynamic mobilisation exercises increase cross sectional area of musculus multifidus. Equine Vet J (2011) 43 (5) 522-529. 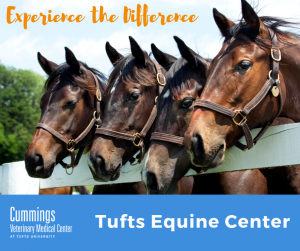 The Equine Sports Medicine and Surgical Service, part of the Hospital for Large Animals at Cummings Veterinary Medical Center at Tufts, is lead by Dr. José M. García-López and Dr. Kirstin Bubeck—both Diplomates of the American College of Veterinary Surgeons (ACVS) and American College of Veterinary Sports Medicine and Rehabilitation (ACVSMR).